It’s time to say goodbye to the peaks and valleys of a cozy home—and to say hello to constant home comfort that lasts. But achieving this requires help from California’s preferred HVAC company—Mauzy Heating, Air & Solar. At Mauzy, our team is committed to delivering superior HVAC services to San Marcos, CA, residents—all year long. So whether you’re looking to install a new HVAC unit or need a basic heating or air conditioning repair, you can count on our certified technicians to show up promptly, act professionally and complete the task at hand flawlessly every time. Though California is known for its warmer weather, residents still battle cooler temperatures during the winter months. That’s why operating both a heating system and an air conditioning unit in your home isn’t an option—it’s a necessity. So, whether you’re looking to replace your aging air conditioner or to install a new heating system in your home, put your trust in Mauzy’s team. Our replacement and installation services will mean the difference between a system that operates and one that unfailingly delivers total comfort. Best of all, our certified technicians are here to help you find the perfect system for your home. You see, we offer more makes, models and efficiency levels of heaters and air conditioners than any of our competitors. This means that, together, we can find a unit that is properly sized for your home’s layout and has the sufficient heating and cooling power you need to meet (and exceed) your comfort demands. So, trust Mauzy’s installation and replacement services. We promise you can feel the difference in our products and services—literally. You can’t plan when a heating or AC repair will occur; however, you can stop a small repair from escalating to a more costly catastrophe. This requires being observant of your heating and cooling systems’ wellbeing. Keep in mind that swift heating and air conditioning repairs in San Marcos, CA, will extend your system’s lifespan, lower your high energy bills and protect your budget from taking a costly hit. It’s time take your home comfort into your own hands by trusting it to Mauzy’s. Our professionally trained, licensed and insured HVAC technicians will show up quickly, diagnose your system’s problem accurately and provide your heater or air conditioner with an effective repair that lasts. After all, swift repair services are the quickest route to peace of mind. Next to a dependable system installation and rapid repairs, the most effective way to protect your home from losing its comfort is by providing your HVAC unit with the care it needs. The team at Mauzy is committed to helping your home operate a healthier and more budget-friendly comfort system. That’s why we take the extra step to keep you cozy by offering maintenance plans that will give you all the benefits of a well-maintained unit—but at a more affordable price. Are you looking to save some serious cash? If so, then look no further. 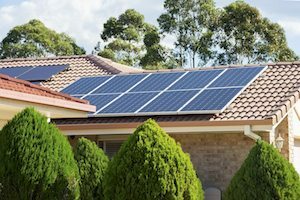 Installing solar panels in your San Marcos, CA, home is the fastest way to curb costly energy bills and reduce your impact on the environment. But don’t let the fear of this large lifestyle change defer you from making the switch. The solar contractors at Mauzy will help you every step of the way. We promise to source, price and install a residential solar system that fits your home’s power needs and leaves a sunnier impact on your budget. By combining our team’s decades of experience in the HVAC industry and our superior HVAC services, the team at Mauzy is confident that we can exceed all of your home comfort expectations. For more information on how our heating, air conditioning and solar energy services can be beneficial for your San Marcos home, fill out our online form or call us at 858.900.3909 today!